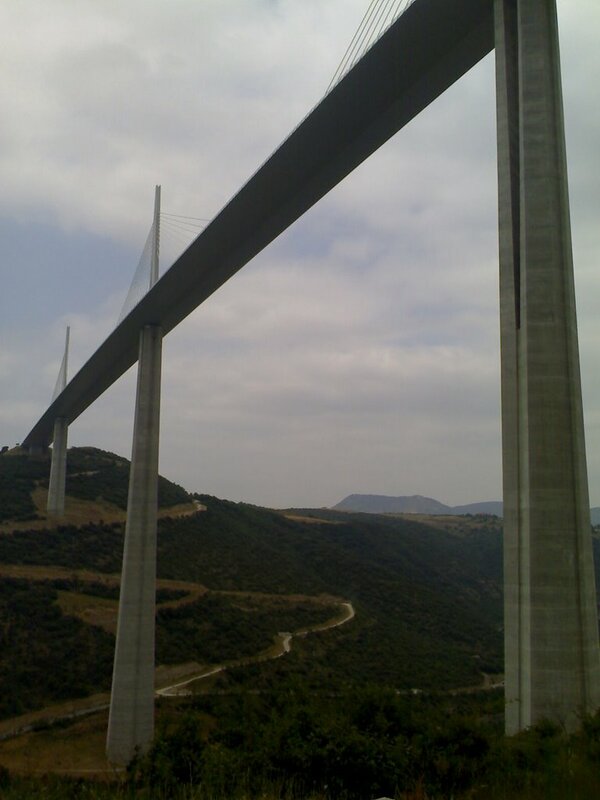 Actually, more of "A Pun Too Far" as the Millau Viaduct is certainly very high (the highest in the world, in fact) but not too high (as far as my structural-integrity-o-meter can tell). MissClick and I visited the Millau Viaduct in the Midi Pyrenees region of France last week. To be fair, MissClick was largely being tolerant of my selfish wishes in agreeing to drive to Millau, but I think both of us stood in awe of the spectacle before us (over our emmental and chorizo half bagettes). As you travel north you are suddenly launched out of a cutting into a cliffside onto the bridge. It doesn't carry water, so why it is named a viaduct is news to me- because it travels over water? Not what I was taught. Anyway, you are suddenly the height of the Eiffel Tower above the valley floor and marvelling at the cable stays and pylons, before you're scrabbling for change at the peage toll booth. We then lunged down into Millau and, via a viewing point (and lunch), round to the information centre. Rather cutely, the petrol forecourt of the supermarche in the shadow of the viaduct reflects the structure in the form of the canopy supports. 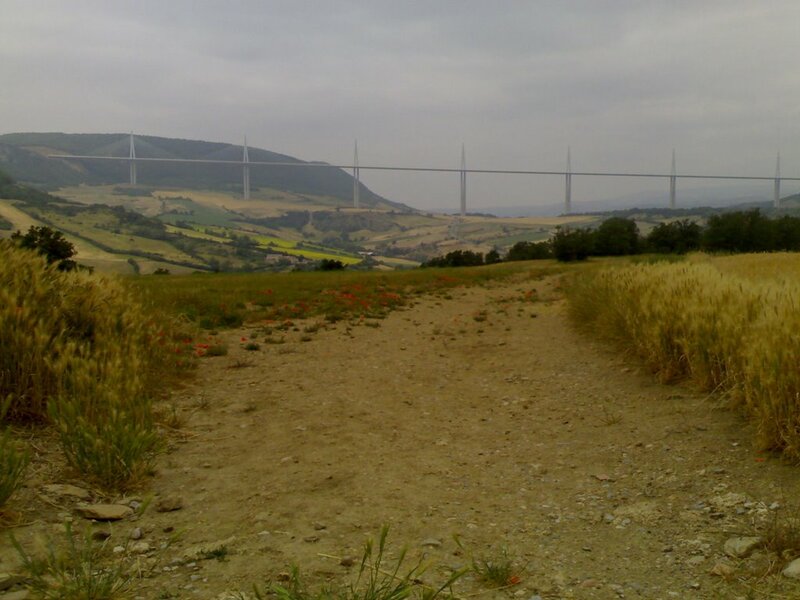 Still, I'm sure the British architects Foster & Partners won't be suing for infringement of intellectual property... and if you don't like bridges, just visit one of the Roquefort Fromageries round the corner and all will be good again. Does it make me strange if I want to see this bridge? Hmm, anyway... I thought an "aquaduct" carries water, a "viaduct" goes over water... I may be wrong! You're quite right... was having one of those days. And "Yes, strange- very strange."